These seven schools earned a spot in the history books. Check out these colleges to see if you want to be a part of history yourself. 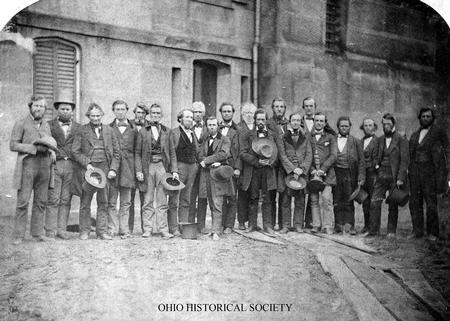 The Oberlin rescuers helped John Price escape into Canada after they freed him from the US Marshall. Colleges are often breeding grounds for advancements in science, political activism and countrywide traditions. Students, professors and administrators at the schools featured here did more than just further education; they furthered our country’s evolution, as well. Check out the cool historical contributions made by people at these seven schools. What kind of history are you going to make during your college years? The very liberal Oberlin College played an important role in forwarding both civil rights and women’s rights; it became the first college to regularly admit black students in 1835 and the first to regularly admit women in 1837. It was also an important stop on The Underground Railroad, and the Oberlin-Wellington Rescue, in which Oberlin students saved a fugitive slave, is said to have kick-started the Civil War. Hillsdale College in Michigan was the first school to ban discrimination based on gender, race and religion, and the second school to give four-year bachelor’s degrees to women (following Oberlin). Interestingly enough, Hillsdale no longer has the liberal reputation that Oberlin has maintained; it’s now known for its extreme right-wing politics, ranking fourth on Princeton Review’s list of most conservative student bodies. Rutgers University and Princeton University are both responsible for kicking off America’s obsession with college football -- students at these schools played the first game of intercollegiate football in New Brunswick, NJ, in 1869. Rutgers won the game, but Princeton won the follow-up match a week later, starting a long tradition of rivalry between the two colleges. Rutgers University won the first intercollegiate football game ever played on November 9, 1869. They beat Princeton by two points. A ton of groundbreaking research has been conducted on California Institute of Technology’s campus over the years: Clair Patterson’s research on lead pollution caused the auto industry to implement pollution controls; Linus Pauling’s theories about atom bonding lead to important developments in pharmaceuticals; and Lee Hood created instruments that were integral in mapping the human genome. Several important scientific discoveries have been made on Yale University’s campus: Dr. Vladimir Rokhlin invented a mathematical algorithm (called the fast multipole method) that’s often used in physics, Dr. Richard Gershon made discoveries about T cells that helped cure autoimmune diseases, and Othniel Marsh made important contributions to the world of paleontology. Yale was also home to the controversial Milgram Experiment, in which disturbing discoveries were made about the human tendency to obey authority. In 1960, when the South was still widely segregated, four North Carolina Agricultural and Technical University students performed the country’s very first sit-in: After being refused service at the “whites only” lunch counter, they simply remained in their seats until the store closed, peacefully standing up for themselves. The day after, 29 students arrived at the store to sit there again, jump-starting a “sit-in” trend that became popular among students and activists across the country. The sit-ins in Greensboro were incredibly successful as part of the Civil Rights Movement to end segregation. In 1967, gay Columbia University student Stephen Donaldson created the Student Homophile League, the very first student group for gays in the U.S. Soon after, chapters of the league opened up at Cornell University, New York University, Massachusetts Institute of Technology and Stanford University. Now renamed the Columbia Queer Alliance, Columbia’s LGBT student organization remains the oldest in the country.